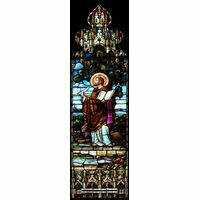 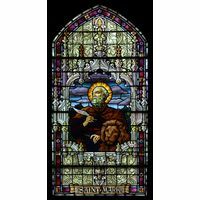 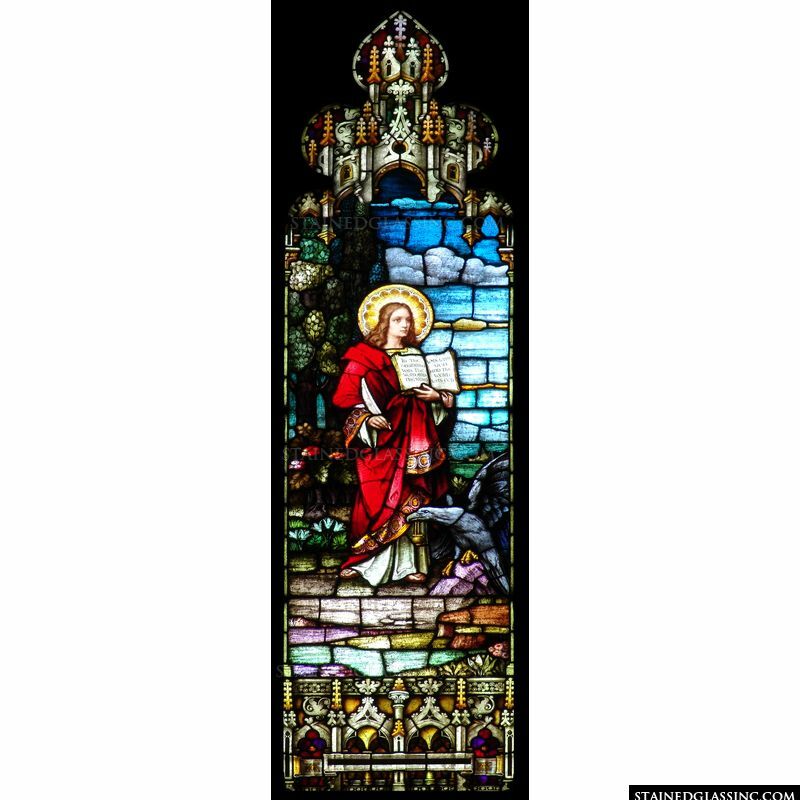 St. John the evangelist is pictured in this stained glass window with his symbolic representation, the eagle. 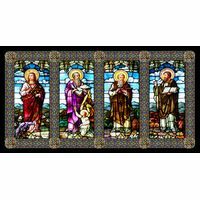 A cathedral style border beautifully frames this artwork and gives it a stunning, classic look. 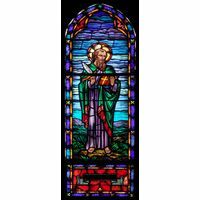 Incredible, lasting color and light blend to create a stained glass art piece that will captivate the eyes and the soul for generations. 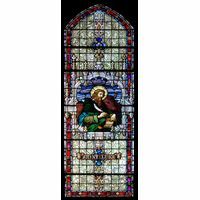 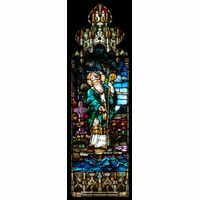 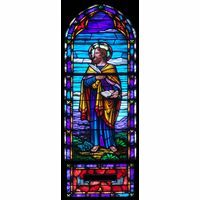 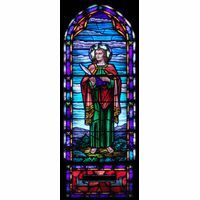 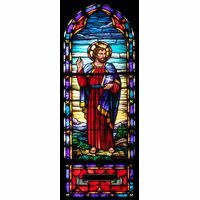 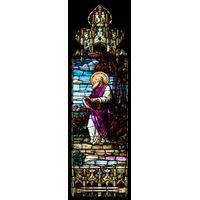 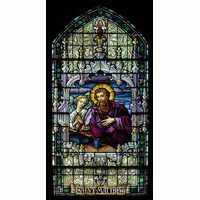 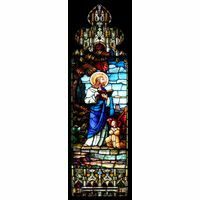 This window panel is perfect for placement in any church or basilica or even in the home of the faithful.